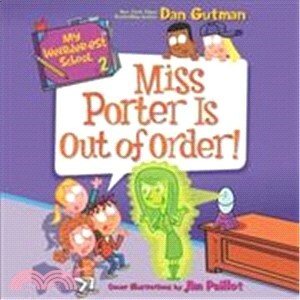 Miss Porter Is Out of Order! In this second book in the My Weirder-est School series, A.J. and his friends are getting a substitute. Miss Porter isn’t your average teacher, though. She’s a Personal Digital Assistant that literally knows everything. She can tell a million hundred weird jokes and get pizza delivered by drone in seconds! But what happens when Miss Porter’s system is no longer set to fun? Will anyone be able to shut her down before she takes over Ella Mentry?